The deluxe version comes in black with discreet gold lettering. 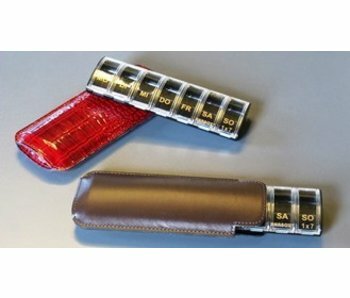 The pillbox is in a stylish leather case and therefore fits perfectly into any handbag. An ideal gift! 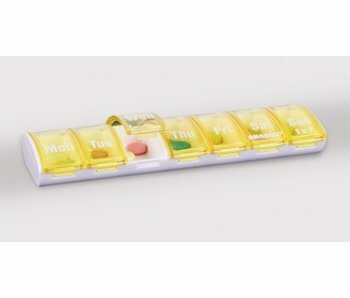 This pill box has two compartments and features a real clock. 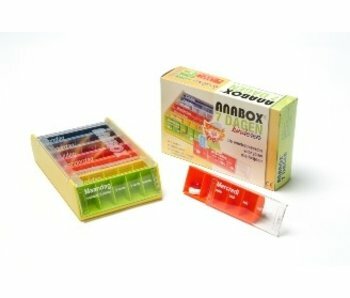 The Anabox consists of 7 day feeders that find their place in a box. 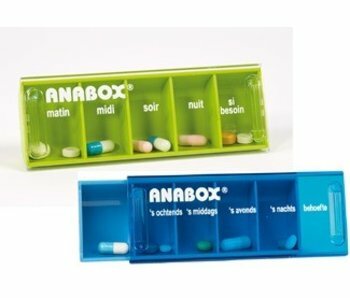 Pill box for 1 day with 5 subjects wherein the morning box slightly larger than the rest. Indeed, there are statistics that show that most of the medication in the morning should be taken. In the lid is a small storage space to take some tablets. Convenient by its small size. Blue screw cap has indentations for a secure grip. The week box for children Anabox consists of seven dagdoseerders finding their place in a box. 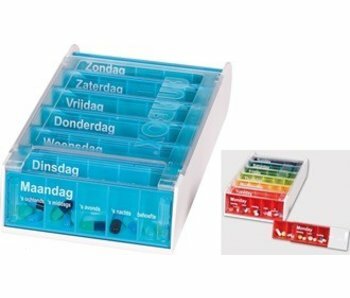 These pills box has a semi-circular shape through which the medicaments are to be taken out easily, and there is an easy cleaning is possible because there are rounded corners. 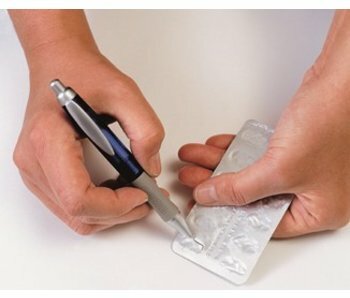 Convenient solution for the removal of medication from blister packs. 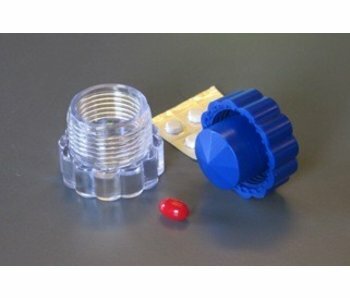 Discrete solution for the removal of medication from blister packs. 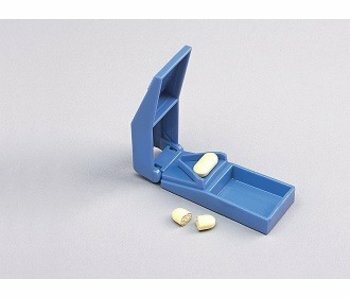 There is a small box provided to include or skip the unused halves to take some tablets. 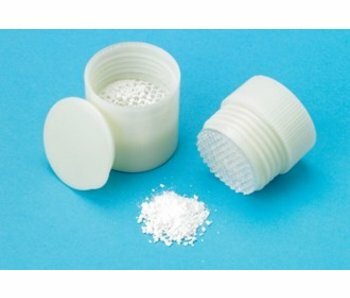 The upper part can be used for the storage of medication or as an aid to drink. This tool is often used by people with swallowing difficulties. 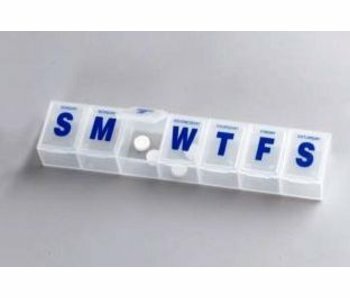 Simple pill box for each day marked a lid. Abbreviations are in English, equipped with Braille signs for the visually impaired.